Back Beat Seattle | News: Looks as if We’re Back! WordPress has been having some technical difficulties with their new version, causing sites using it to run at sluggish pace, and some not loading at all. We’ve been hit by this problem, but it looks as if things are returning to normal. Also, we have a new look! Expect photos of Rachael Yamagata, Grimes, Lenka, Queensryche, Fall Out Boy as well as photos and interview with New Politics . . . interviews with Klaxons, Donots plus a review of Dylan Moran’s Seattle date and more, very soon. 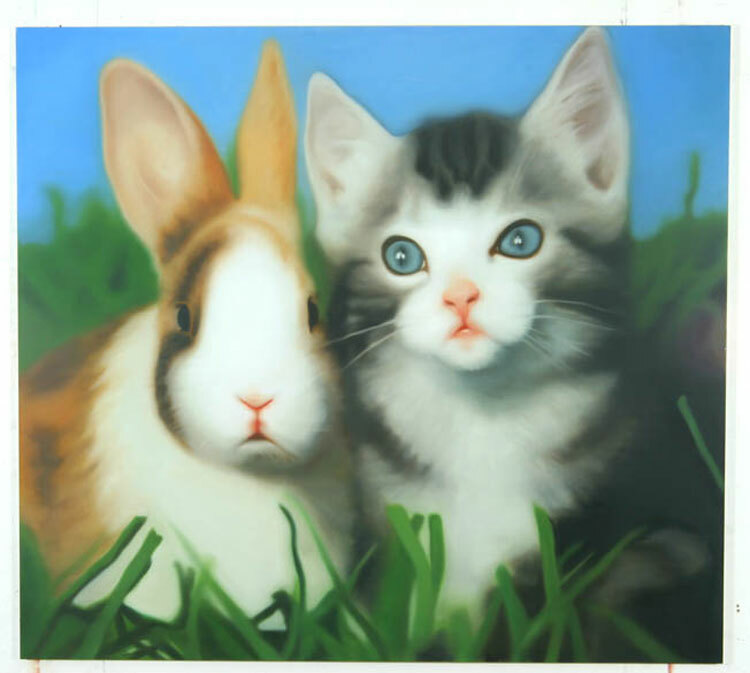 For now, wander around the site – or gaze at this bunny and rabbit painting. Written by: BBS on 07/06/2013.